The Eyebar is a stunning quad moonflower effect. Powered by 64 red, 64 green, 64 blue, 32 white and 32 amber 5mm LEDs, it showers 256 crisp beams that give a multi effect light show all from one box. 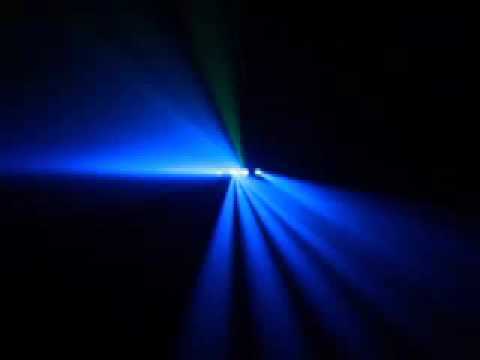 The pin sharp beams cut through the air covering long distances, and a wide beam angle covers a large area. On board features which add to the fixtures versatility are DMX compatibility, easy plug-and-play mode and sound active mode via internal programmes without requiring a controller. Multiple units can be linked together via the fixtures built-in XLR connections and run Master/Slave. Considering purchasing the Equinox Eye Bar DMX LED effect? Have questions? Ask people who've recently bought one. Do you own the Equinox Eye Bar DMX LED effect? Why not write a review based on your experience with it. Easy to operate and a really good effect. Seen a video for Equinox Eye Bar DMX LED effect online or have you own video? Check out Equinox Eye Bar DMX LED effect on DJkit.com!